For more than 5000 years the full clay brick is a component that walks with humanity along its constructive journey. As a matter of fact around 3500 years AD, the raw brick, already used since the beginning, was made by mold and cooked ; this gave the brick such a hardness and a durability that the construction of the first great monuments of humanity could be built, the ziggurats. 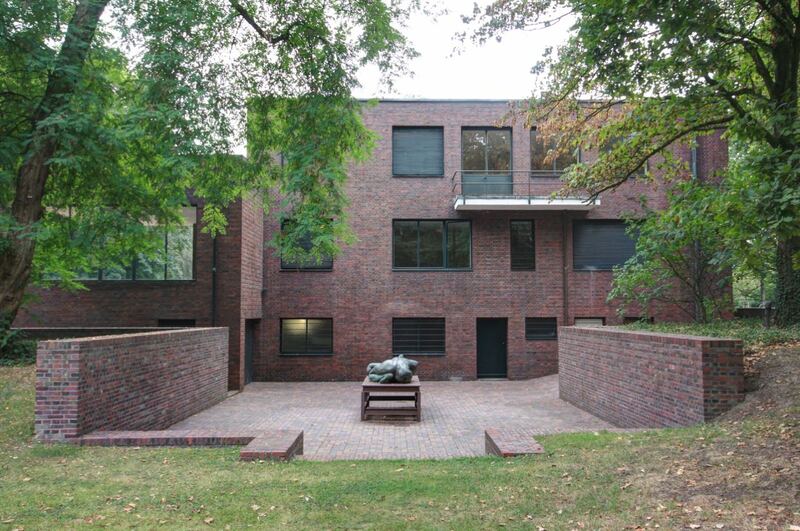 The various qualities of the brick such as the static, the durability, the shape, the texture and its chromatic wealth, have been handed down till our days. Even today its capability of dialogue with more modern materials such as steel and glass enables the contemporary architecture to appreciate the design dynamism by continuing the use of this precious witness of history. The exposed bricks are the “ennobling” part of the common masonry works for they are not designed to be covered with plaster, but to become decorative elements, as well as being structural to the architecture itself. Their manufacture requires selected clay, selected in such a way that the final product will offer adequate aesthetical characteristics, a maximum of strength to weathering and the performances of a product destined to be left exposed. Each piece is unique: during the manufacture of the brick, each single piece is different from the other for each hand, each mold, each cooking process will give a unique and unrepeatable imprint. This clay parallelepiped, in its Italian standard 5,5 x 12 x 25 cm size, provides all sides with a 1:2:4 ratio , i.e. Each side measures the double of the other: its three-dimensional modularity enables the production of a vast range of regular assemblages and the construction of walls bearing the partitions, from arches to domes. The base of inspiration for the Brick Light. Project has been the modularity, the resistance and the uniqueness of the brick. Each piece is unique and presents aesthetical features that make it deliberately appearing “imperfect “as the result of a crafted process should be. Brick of Light is a luminous brick with 5 exposed sides. This enables to use it also in angular provisions or to install it in protrusion with respect to other bricks. The ice etched finish of the glass allows a uniformity of light on the 5 fronts. 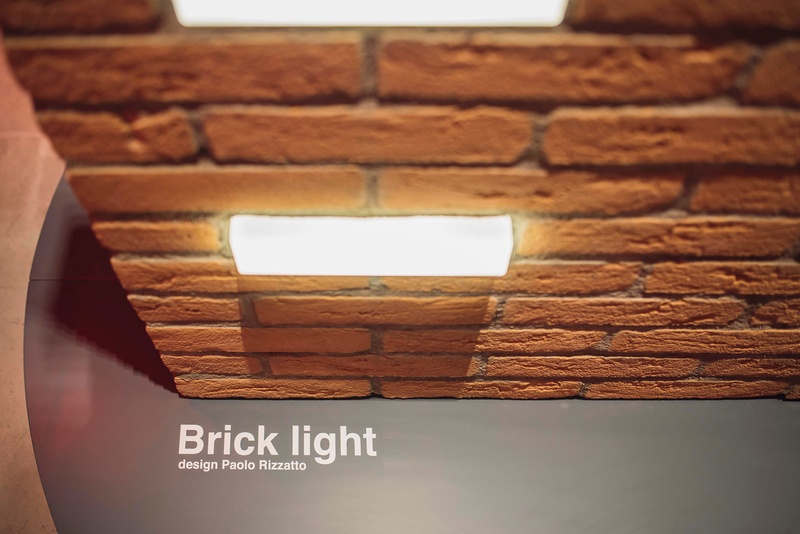 Rizzatto’s professional training and practice as an architect were the base for the concept of “composing” and the starting block to design Brick Light. 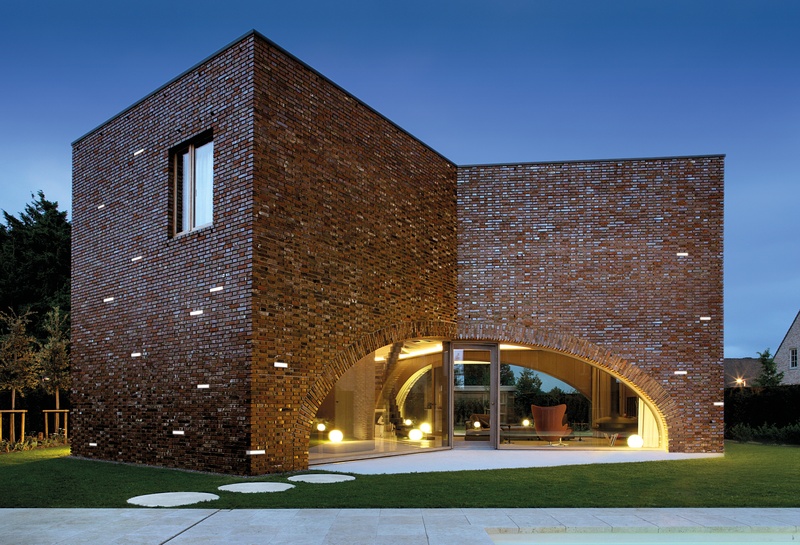 Paolo Rizzatto took these assumptions to develop the brick full of light via a personal interpretation of the dialogue between the glass that is increasingly a leading actor in modern architecture and the clay brick that represents in a certain way the origin of same. 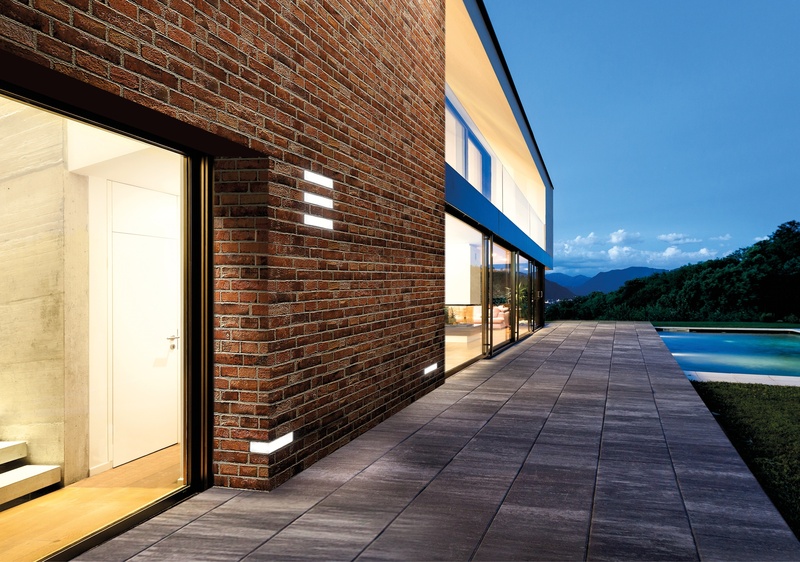 The Brick Light project makes light become a structural element through the shape of the brick; its materiality shapes and enhances the volumes of architecture.